‘One day in the near future, a storm strikes New York City – but it is no ordinary storm. A down-to-earth gardener finds that his feet no longer touch the ground. A graphic novelist awakens in his bedroom to a mysterious entity that resembles his own sub-Stan Lee creation. Abandoned at the mayor’s office, a baby identifies corruption with her mere presence, marking the guilty with blemishes and boils. A seductive gold-digger is soon tapped to combat forces beyond imagining. 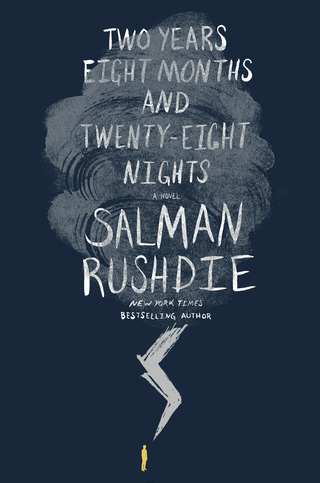 This is a novel by Sir Salman Rushdie, a story involving various elements such as the idea of fear and god, the idea of good and evil, love and lust, tyranny among many other things narrated through the author’s impeccable writing style and engaging elements of magic realism. The story begins in Cordoba during the period of the Almoravid Dynasty where a young jinn, meets and falls in love with the philosopher Ibn Rushd, a rationalist, who is in an ideological war against the Persian philosopher, Ghazali. The children of the jinn, Dunia and Ibn Rushd are born with the characteristic of not having earlobes. Centuries later, in modern day New York, a storm begins which lasts for 1001 nights during which; an old gardener’s feet does not touch the ground, a baby ends up in the office of the Mayor of New York which identifies corruption and the logic of the old world no longer seems to apply triggering the War of the Worlds between the world of humans and the jinn. To counter this menace, Dunia, the jinn, gathers all her descendants – the Duniazat – tribe of the world (which include the gardener, Mr. Geronimo and a few others) and the battle goes on for two years, eight months and twenty eight nights. I was highly interested in the book owing to the rather interesting title given to it by the author. Post that, I really enjoyed how the author dealt with a lot of timeless topics such as reason versus god, hope against fear, love and of course, he also made a lot of specific allusions, such as his highly indirect references to the Afghanistan and Taliban (as the situation created by the evil jinn under the orders of Ghazali) and also on allusions on the current western political scene. As always, I really enjoyed the way in which he narrated the story, the choice of words, the flow of the story, the sequence in which they were arranged and the way in which he created the new world – Peristan (the world of the jinn) and not for once, gave the reader an impression that he was going beyond the rules of the current world. I really enjoyed the way the characters of Geronimo and Dunia were brought out, the former, a happy go lucky gardener dealing with all sorts of mundane issues with the latter having the task of saving the world from mayhem, dealing with personal tragedy, lost love and the need for love again, dealing with her emotions among other things. I also enjoyed the various diverse mythical references that the author touched upon, being Greek, Indian, Egyptian, a bit of Abrahamic myths and even a brief anecdote on a Yoruba myth. 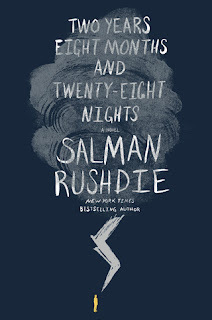 However, like it had various good elements of a typical novel of Rushdie, it had the very same issue I have with most of his books, being, he took too long to come to the point, that it took nearly a third of the book before the plot actually started taking shape and by then, he had introduced too many characters which became a challenge to the memory and even more disappointing, when most members of the Duniazat were grossly underused, barring Mr. Geronimo. With that, I would conclude my review here that considering all the above stated aspects and also giving weight to the amount of time it took to read and also a bit of redundancy that was involved, I would award the book a rating of eight on ten.